Over at The Sisterhood of Crafters, there is a new challenge up today! So hurry on over and get your project linked up. supplies: echopark halloween 12 X12 paper/sticker pack and black and white baker's twine (the twinery). This was so fun and easy to make! OMG this is too cute Sandi and I love the design! Well done! Happy Day to you my friend! 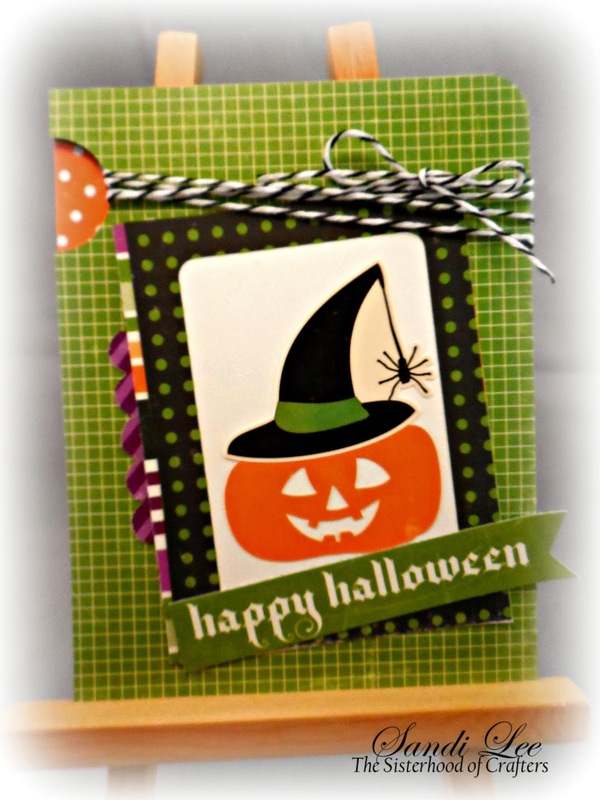 What a gorgeous card, love your card design and your colors.